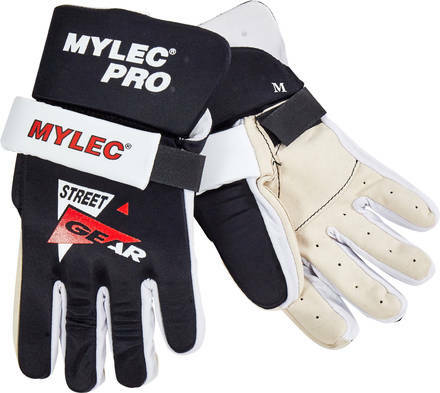 These gloves feature a rugged leather palm, durable lycra cloth backing and velcro wrist roll for a secure fit. Excellent gloves for street play. Please note: This is not an icehockey glove.